Quay Eclipse Sunglasses in Blush. 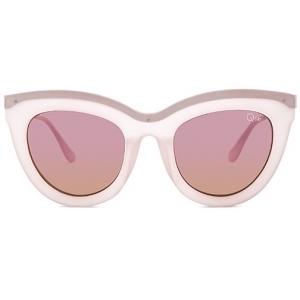 Quay Eclipse Sunglasses in Blush. Quay Eclipse Sunglasses in Blush. Matte acetate and metal frames. 100% UV protection. Includes pouch. 48-18-150 in mm. QUAY-WG66. QW 000024. Born roadside on the festival circuit with Linda and Allen Hammond in 2004, Quay Eyewear Australia is a notoriously cool, affordable and quirky range of sunnies for the nonconforming and freethinking.